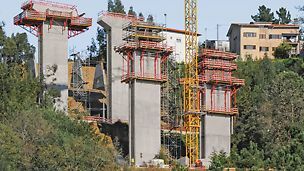 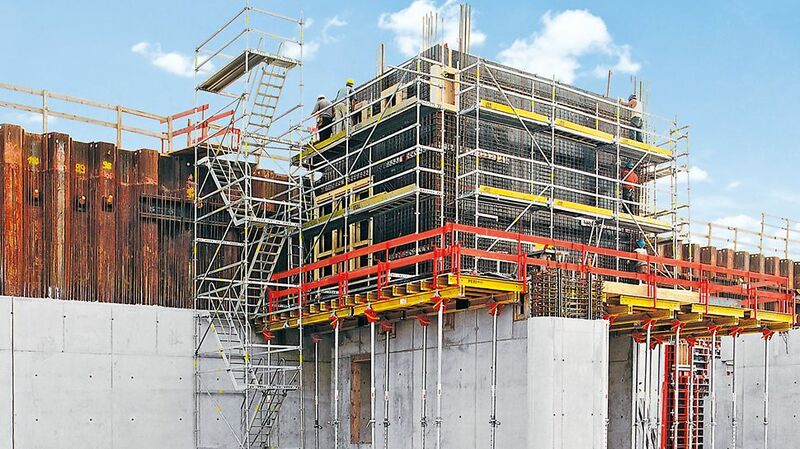 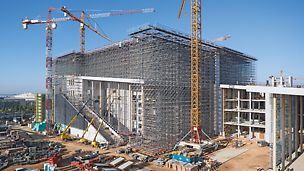 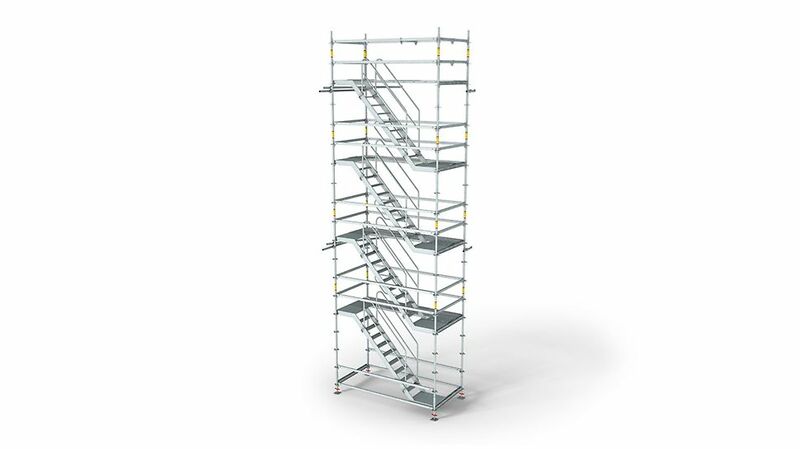 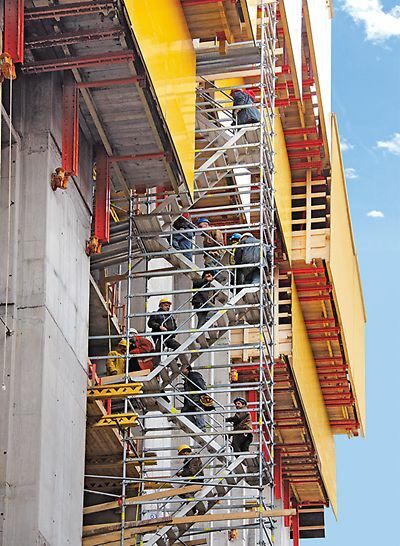 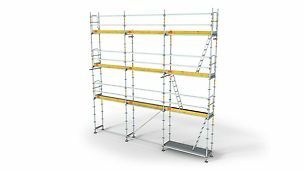 With staircase units in the same direction or alternating staircase units, the Staircase Alu 64 serves as access to working areas or construction site operations at heights of up to 90 m. As a 4-leg tower with 64 cm widths and height grid arrangement of 2.00 m, it is ideally suited as site stair towers in front of facade scaffolding, e.g. 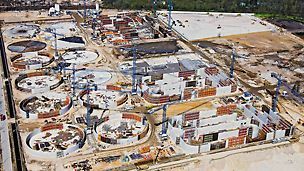 PERI UP T 72 or T 104. 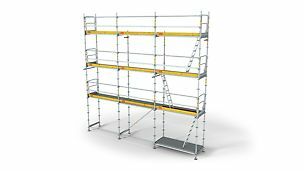 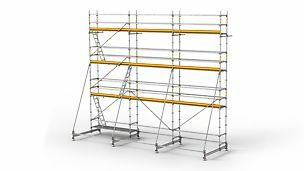 Each working level can be reached without requiring any height adjustments.